This year we have divided our awards into two categories, Nintendo handhelds and Nintendo consoles, each of which have 5 awards; virtual console GOTY, eShop Most Wanted, eShop GOTY, Most Wanted, and GOTY. For the sake of these awards we define eShop as anything that appears as a digital download only (IE cannot be bought at a store as a retail product), while our regular awards apply to anything that can be bought as a retail product. In the future this distinguishment will probably disappear as the lines between retail and digital become more and more blurred, but for now, it works. 2012 was a pretty prime year for Nintendo handhelds, with the 3DS finally getting a full year to shine, both in the digital and retail space, and the DS having a few surprises up its sleeves as well. We saw a few mini-droughts and a couple of unfortunate delays (isn’t this always the case?) but for the most part, it was a satisfying year for handheld gamers. But you’re not here to be bored with chatter, so let’s get on with this! We decided that the handheld virtual VC GOTY would only include games that originally released on handhelds, lest the awards just be a mirror of the console VC GOTY awards. There was a decent mix of classics this time around, as well as a few gems that many of us passed over back when they originally released. Wow, that one came down to the buzzer! 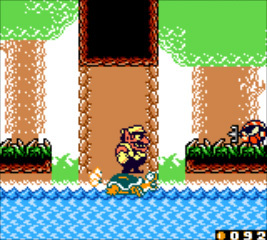 In the end though, the power of Wario cannot be matched (as is often the case at Negative World), and we loved his platforming romp, while newcomer (to most of us) and much loved retro game club game Mole Mania will have to be happy with a hard earned silver medal. Kid Icarus fills out our top three, sliding in right over Mario Golf, while Dr. Mario takes Kirby's Pinball Land by a single point. It was actually pretty hard to get this list down to 6 choices, and many of the games that missed the cut were a bit too quirky to get mainstream support, but will probably be played and loved at Negative World nonetheless. If you haven’t bought into the 3DS eShop yet, 2013 may be your year! Proving that the rhythm genre isn’t dead as long as you have a good idea behind it (either that or proving that we just love Game Freak), Rhythm Hunter: HarmoKnight is our most wanted handheld eShop game looking forward to 2013! Shantae also puts up a good fight, and last year’s winner and perennial candidate Picross e will have to suffice with third this year. Maybe Nintendo will finally release it and get it off our most wanted list and onto our GOTY? Mutant Mudds 2 and “DENPA” MEN 2 tie for fourth, while Pixel’s Ikachan is in a lonely last place. 2012 may not have been the most prolific year for the eShop, but a couple of great latecomers (including a key Dec. 27th release) helps pad out a list that, while not overflowing with quantity, certainly contains enough quality to keep most Nintendo gamers happy. 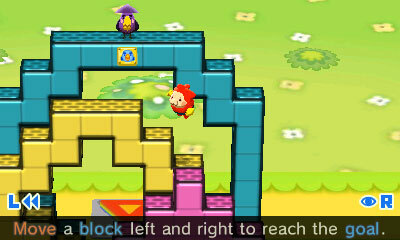 Pushmo took our eShop GOTY by a fair margin in 2011, and its sequel, Crashmo, wins it handily in 2012. We just can’t get enough of block pushing goodness! Mutant Mudds represents platforming joy in second place while Fluidity: Spin Cycle, coming in last minute, swoops up third. Zen Pinball 3D and a Zero favorite, NightSky don’t quite make the cut, and another latecomer, escapeVektor, flies in under the radar. Although the 3DS is definitely a satisfying platform, there are a couple of key games that we have been waiting on since the launch of the system, and we continue to wait into 2013. Only half of the games from our handheld most wanted 2011 have actually released in 2012, so we have a chance to see which of the ones left over are still desired and which have maybe dropped a bit in mindshare. 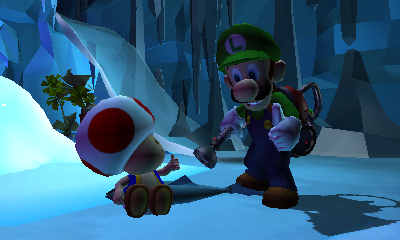 Luigi’s Mansion: Dark Moon takes it with a solid 7 point lead! Meanwhile Animal Crossing: New Leaf, which was last place in our 2011 handheld most wanted, moves up to second (perhaps because we actually know some concrete things about it now?) while Professor Layton vs. Ace Attorney, only 3 points behind Luigi’s Mansion in 2011, drops hard (hey, I still want it bad!) Monster Hunter barely edges out Fire Emblem for fourth, and Castlevania can’t quite make the cut. Ok here it is, the big one. Well, the big one for handhelds anyway! I think a lot of us here at Negative World probably know exactly what to expect, and maybe a lot of non-members have an idea what to expect as well. 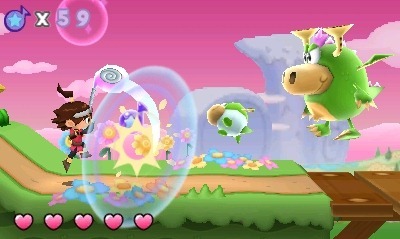 There were a lot of great games to release on the handhelds in 2012, but only one can be crowned GOTY. Shocked? Probably not, but considering that Kid Icarus: Uprising finished our 2011 handheld most wanted poll in fourth place, only a single point above Resident Evil: Revelations, a lot has changed in a year! I’m not entirely sure what we all expected from this game, but what we got was a fully polished, varied, epic experience with some of the best voice-acting in a Nintendo game (or really, any game) yet. Our most wanted handheld winner of 2011, Paper Mario: Sticker Star, will have to live with a distant second place finish, while New Super Mario Bros. 2 pulls ahead of Resident Evil: Revelations for third. Layton (franchise fatigue?) and Zero Escape (people hate awesomeness?) can’t quite hang with the rest. And that just about does it for our handheld GOTY 2012 awards. Be sure to check out our console GOTY 2012 awards! PS. And even once more I'd like to take this moment to thank the members of the Negative World for an excellent 2012! You guys and girls are the best and you know it. And if you're reading this and not a member yet, get yourself signed up, ok? You can sign up right now for free in less than a minute. Go for it! Huzzah to another great year of handheld goodness! I'm especially pleased to see Wario Land 2, Mole Mania, and Kid Icarus Uprising get the respect they deserve here. It's been a solid year for the 3DS, especially considering that another favorite among NWers (Theatrhythm) couldn't quite fit in the top 6 places for the system. What was fun was watching things change over time behind the scenes. For instance, Luigi's Mansion started off around 4th (although it was all pretty close back then), and then slowly moved into 3rd... then 2nd... and it really only took 1st within the last day or so. 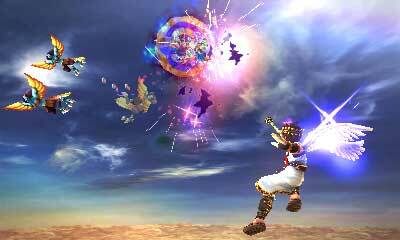 Kid Icarus though, there was never a contest there. It ran off and never looked back. Glad to see Kid Icarus: Uprising pulled in the big one but sad to see Virtue's Last Reward way down at the bottom of the list. Then again it all depends on who played what... cause there's no way it should be so low. I think I voted in only like 2 categories this year. Most wanted 3DS and GotY. People seem to be tired of waiting for Capcom's nutty crossover (boo! ), but It's great to see Kid Icarus taking it's rightful place as the best retail title. My only regret is that we probably won't see a sequel to that any time soon. @VofEscaflowne Yeah as I said in the console GOTY thread, the more niche games are always fighting an uphill battle here since we have a sort of populist system going on. We know everyone and their brother is at least buying the Mario games and such, not so much Zero Escape though they should be. At least we don't have to worry about that here! Awesome result. Apart from the lack of the Rolling Western, which I think was at least worth a nom. Great picks, but I have alot of games to catch up on judging from this. MH4 in MW 4th place? No NA localization confirmed. (i kid) Very glad to see Mole Mania get some love, as it is fantastic. Didn't realize Dillon wasn't nominated (& Sakura Samurai) until @kriswright pointed it out, although i can see why some people were down on it... i liked it. Biggest surprise, to me, is HarmoKnight beating out Shantae on eShop MW. I'm really excited for both, I just thought Shantae would run away with that category. Some good picks overall, made me realize that I should do some catching up before the big 2013 releases start dropping. I've barely touched Crashmo (don't shoot! ), & strongly considering picking up Zero Escape... even though i missed out on 999 (i said don't shoot!). I guess, to be fair, I reviewed the Rolling Western and even I didn't give it particularly high marks. But I still really enjoyed it and consider it a memorable 2012 gaming experience. Kid Icarus deserves it! YAY! As for the next couple... Well, it seems enough people didn't play through Revelations and VLR. Paper Mario was okay, but come on! Paper Mario was awesome, that was actually my #1 pick. Zero Escape might have beat it out for me had I actually played it though. I was a tad bit surprised that Crashmo won by so much since it seemed like no one bought it / was playing it. The poll was open for a bit shorter of a period this time around than in previous years. Still, it was open for about a week or so, I believe. My bad then. Hmmm...maybe thats why I didn't notice. I only noticed it after you just replied. Horray for Kid Icarus Uprising! Boo @ Castlevania: Lords of Shadow - Mirror of Fate getting last place for most anticipated! What is the matter with you voters? Castlevania is an awesome franchise! How the heck are people more excited for Luigis Mansion than Animal Crossing?! Baffling! I love Castlevania but I'm not that excited for it strangely enough. The last trailer I saw looked... okay. Maybe it was just bad editing but it was one of the most unexciting trailers I've seen. Was anyone else pretty disappointed with Kid Icarus? Content was great. Graphics were awesome. Sound was top notch. Unlockables out the wazoo. A very lengthy single player campaign, and a fun online versus mode for those who just can't get enough. But the controls stink. I'm sorry, but I can't stand them. I got through maybe the first half of the game, and even then I still have trouble with them. So much of the game feels like I'm just spamming the attack button and dragging the stylus around, assuming that my shots will land on enemies. The flight mode doesn't really have the precision of something like Star Fox 64, while the ground game feels clunky, especially in multiplayer, where humans are much more nimble and harder to hit. I think I might actually wind up selling it. I'll give it another shot, but I dunno guys. I was really looking forward to it and just can't latch onto it. I can't stand the fact that if I don't have my stand with me, the game is just super uncomfortable. The larger 3DS XL doesn't really help a whole lot. The only problems I have with the controls is that they hurt my hand after a while. Other than that, once you get down to customizing it to your liking, they work really well I think. Have you tried messing around with the control settings? It can make the spinning be much more effective and quick. Once I got used to them, I felt that they were even better than a dual analog setup. Yeah I'm with @VofEscaflowne. KIU's controls are pretty uncomfortable, and the stand requirement pretty much disqualifies the game as "portable." But once you get the settings where you want, they're way faster and more precise than an analog stick.